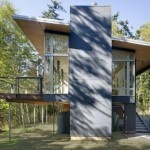 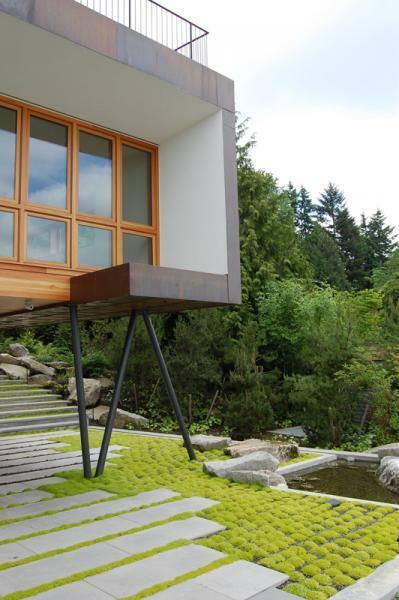 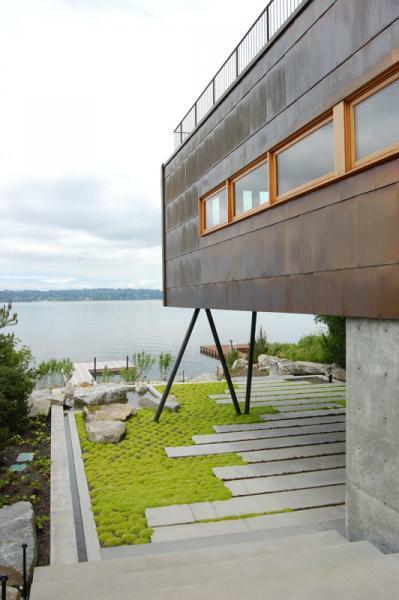 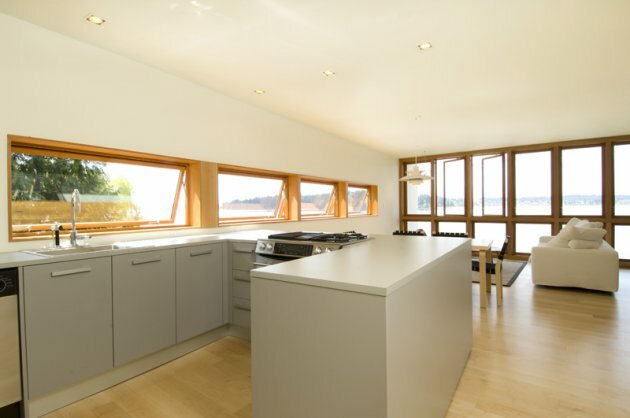 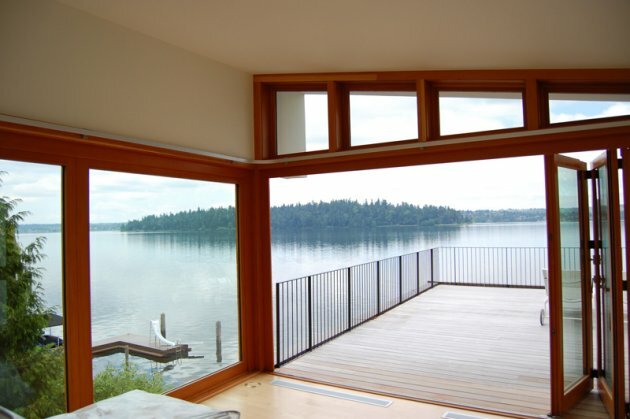 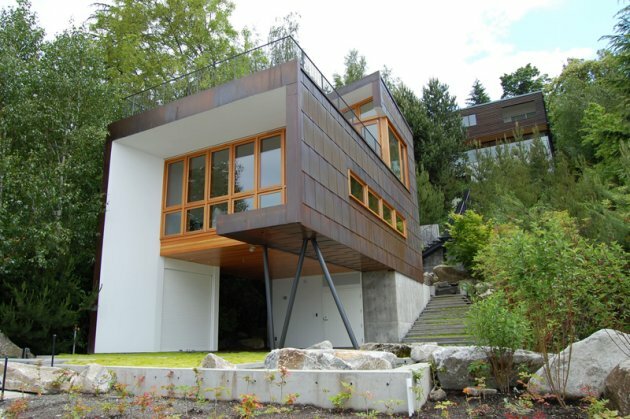 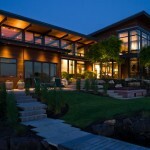 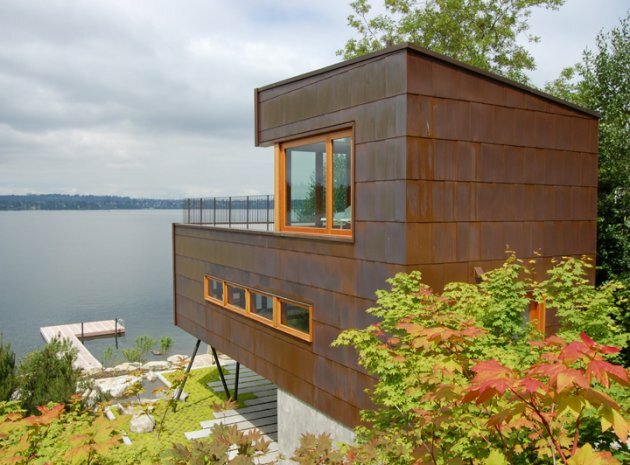 Seattle’s Hutchison & Maul Architects designed this Washington State lake house. 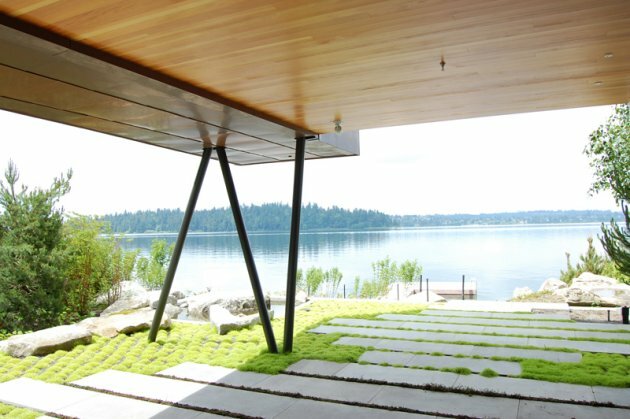 The architects were asked to design two conflicting elements, guest/retreat space and family/active space, as close to the lake as code would allow. 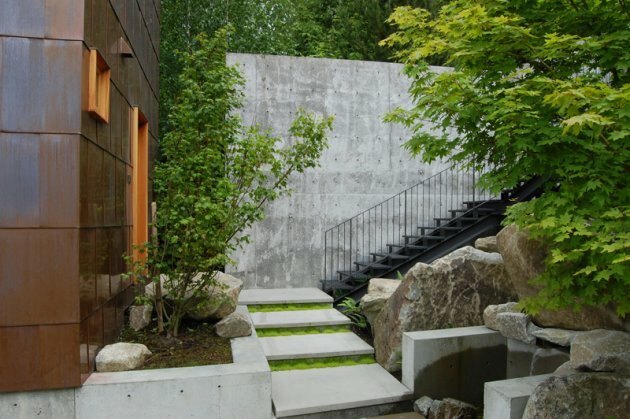 There was also a desire for lake access from the main residence located up the hillside, and to integrate water-sports storage and a changing/bathing room as part of the family/active space. 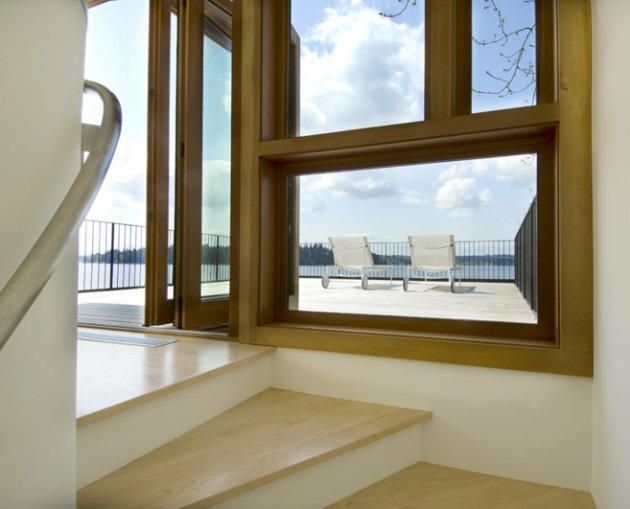 Finally, it was important that the guest/retreat spaces feel private even when people occupy the family/active space, and of course taking advantage of the view wherever possible was an obvious choice. 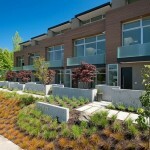 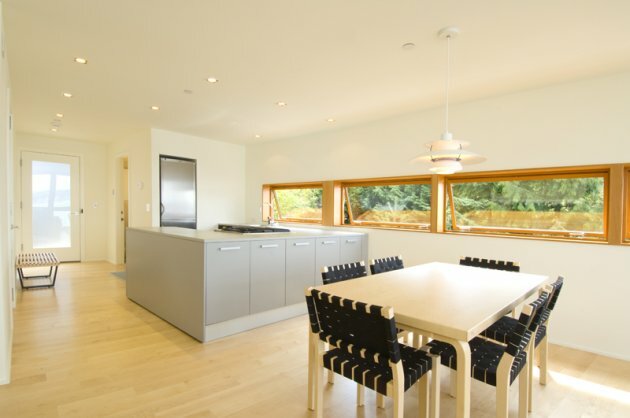 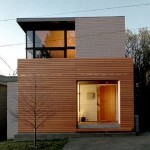 Visit the website of Hutchison & Maul Architects – here.